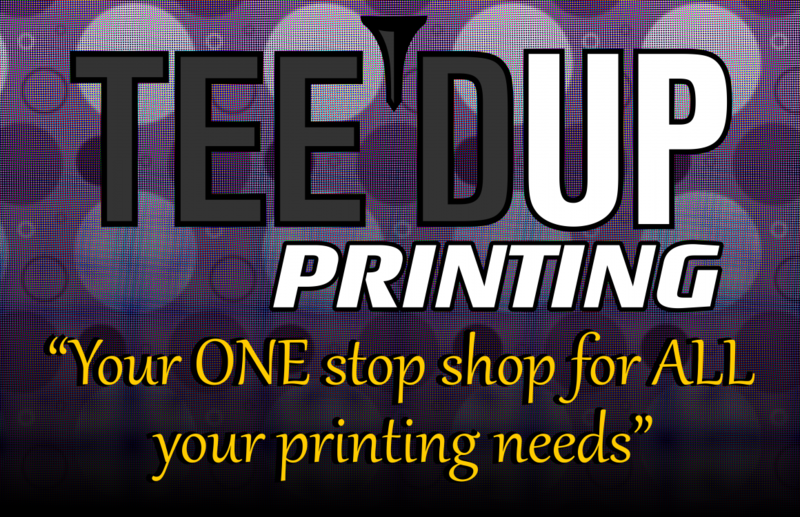 Tee’d Up Printing offers our number one service which is silk-screen printing. Tee’d Up Printing can put your logo or customize a logo for you to put on an apparel of your choice such as t-shirts, sports apparel, hoodies, sweat pants, etc. We also provide embroidery, signage of any kind, business cards, or what ever your needs may be. Feel free to give us a call!